Dragon’s Lair: The Movie Pitch Presentation is finished!! We want to thank all of you for your support and contributions. 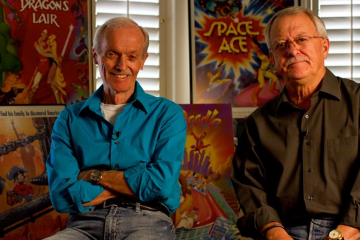 Without you we wouldn’t have made this happen and a BIG Happy 80th Birthday to Don Bluth!! 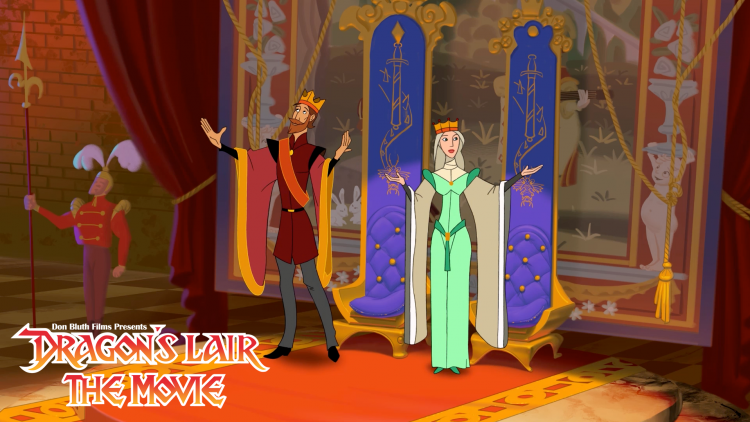 You can watch the pitch on Official Dragon’s Lair: The Movie Website. 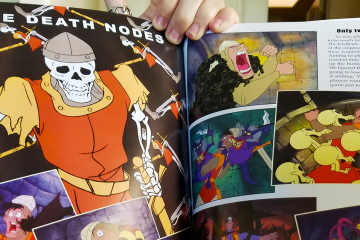 For those of you who contributed to Dragon’s Lair: The Movie – Indiegogo Campaign you should be receiving an email in the next week with another link to the pitch presentation. I personally would like to thank Don Bluth & Gary Goldman. Our team worked around the clock to make this pitch happen, create and send out perks to contributors and really fight for what we all believe in, Traditional Animation. I never had a job in my life that I wanted to come in to work on weekends and work nights. Most of the time you just want to go home and relax, but not working at Don Bluth Films. There were times Don would say, “Go home, and get some rest Lavalle”. I would just grumble and say, “Do I have to??”. We all will continue to work hard here and update everyone as everything progresses. We have a lot of big plans for the future and you all will be the first to know! 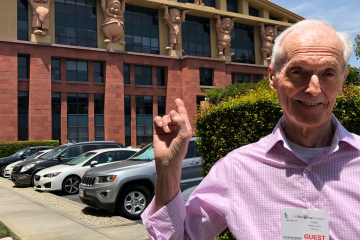 A Bluth Fact: Don Bluth and Gary Goldman left Walt Disney Studios on Don Bluth’s birthday in 1979 and now in 2017 Don Bluth finished the Dragon’s Lair: The Movie pitch presentation on Don Bluth’s birthday as well. Congratulations to Don Bluth, Gary Goldman, Lavalle Lee, and the team on your successful pitch! This looks stellar! Congrats to everyone involved on this pitch! Lavalle this wouldn’t have happened without you and your know how! Don Bluth still has the magic. Don & Gary great job on directing the pitch it looks terrific. Now — let’s get this funded and bring traditional animation back into the theaters! So excited for this!! Thank you for allowing us to be a part of the process behind everything, and for keeping traditional animation alive! You guys are an inspiration, I remember playing DL so much growing up and now to see it be made into a movie is something I can’t express through words alone! 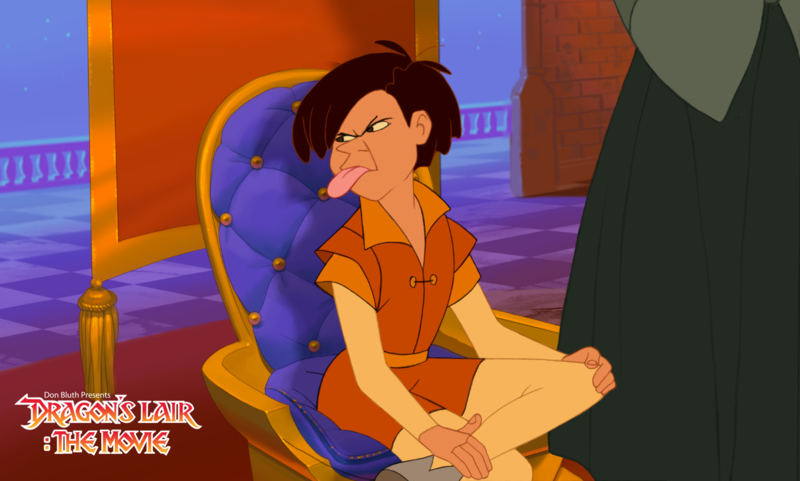 Don Bluth and team have done it again! Lavalle I know this has been a big dream of yours come true. Years of hard work in the making. Congratulations man. 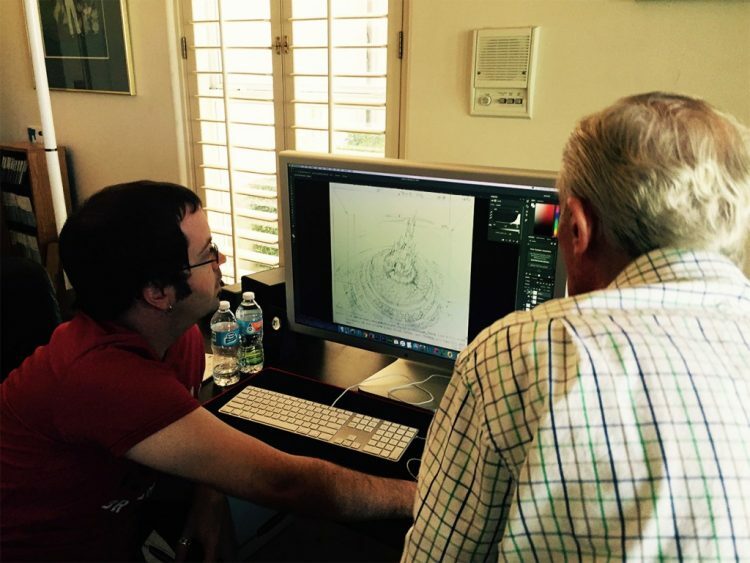 Team Bluth, creating something out of nothing and blazing a new trail for future generations in traditional animation. When I heard the murmurs of a possibility that Don was ready to get back to making another movie, I said I am ready to contribute however i can! I was able to contribute a small part of the funding through indiegogo. Now just two years later it is a real live reality! The first step is done, now the next step is to see this bad boy in glorious theaters. Again, Congrats to the Bluth team! This is BIG news!!! I am so excited and looking forward to this! Congrats to Don, Gary, and Lavalle for the wonderful pitch and thanks always, for keeping the fire burning! Will it be coming to YouTube ??? i hope for a theatrical release. Good luck Don and Gary! I thought it’s Disney’s Sleeping Beauty. Oh my goodness. I heard about this. You have to log in to see it? I can’t help but think of Sleeping Beauty! 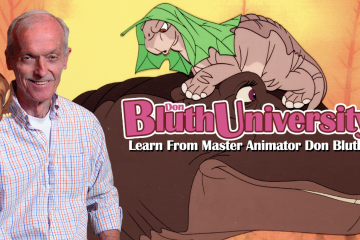 Don Bluth is a master of traditional animation. I really hope this movie is released in theaters. Makes you wish he knew something about CHARACTER animation, and strong characters. It’s been a while since he was crowdfunding this and appeared with the Nostalgia Critic to spread the news. Glad to see he made it. Must be done & the studios who don’t listen are nuts! Trad Animation Rocks! I can’t wait!!! I always knew it would get off the ground, and I’m positive that it will be a theatrical release. Congratulations to Don Bluth and his crew, and I hope that The Secret of NIMH, An American Tail, The Land Before Time and All Dogs Go to Heaven will all someday get the proper treatment and releases they deserve. It’s only been, what, 20 years?? It’ll get made someday! I’ve been asking for this since 1983. True story. Awesome another classic on it’s way!